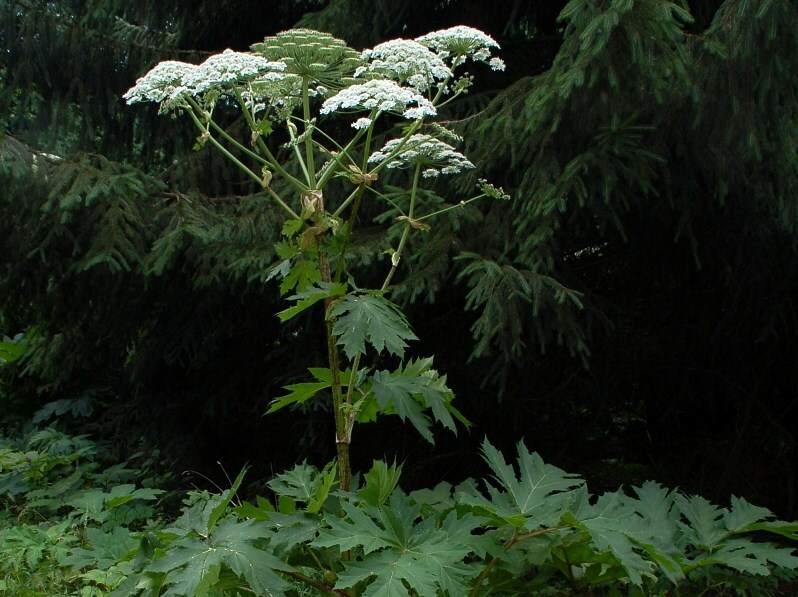 Heracleum mantegazzianum (giant hogweed) is a herb/ (family Apiaceae) with white flowers and large toothed leaves found in the northwestern ranges of Oregon. It is native to central Asia. It favors grasslands and riparian and bottomland habitat. It reproduces only by seed. Seeds fall within 13 feet of the parent plant and can be carried by water and wind. Sticky seeds attach on to humans, animals and machinery.